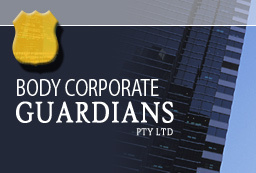 Body Corporate Guardians Pty.Ltd. has operated as an independent property management group for the past seventeen years. The Directors of Body Corporate Guardians Pty.Ltd. are Mr.Robert (Bob) Brooks and Mrs.Nola Brooks. Our experience in property management has been obtained over a period of many years. Mr.Bob Brooks was involved with Myer Property and the management of retail stores and the major shopping centres in the Melbourne area. This was followed by maintenance of Body Corporate properties. Mrs.Nola Brooks was employed in the credit office of retail stores and then completed five years with an alternative Body Corporate management company gaining experience in the field of Body Corporate Management. We combined our experience and formed our own company in 1985 starting with a portfolio of just over 45 properties and building up the number of properties over the years. We presently act as Secretary/Manager of 240 own-your-own properties. We specialise in both commercial and domestic Strata, Stratum and Company Share properties. We are not involved in renting or selling of property so there is no conflict of interest, therefore we can give your property undivided and unbias attention at all times. Our property portfolio ranges from properties of just four units, to high rises of up to eighteen floors and over one hundred apartments. We also manage strip Shopping Centres through to free standing Shopping Centres. A new concept today is the Body Corporate entwined with Golf Courses i.e. National Golf Course and Condominiums at Cape Schanck and the seasonal Body Corporate you find in holiday resorts. We also manage office buildings in the C.B.D., St.Kilda Road and South Melbourne area. "We have over 20 years experience in the Body Corporate management industry"